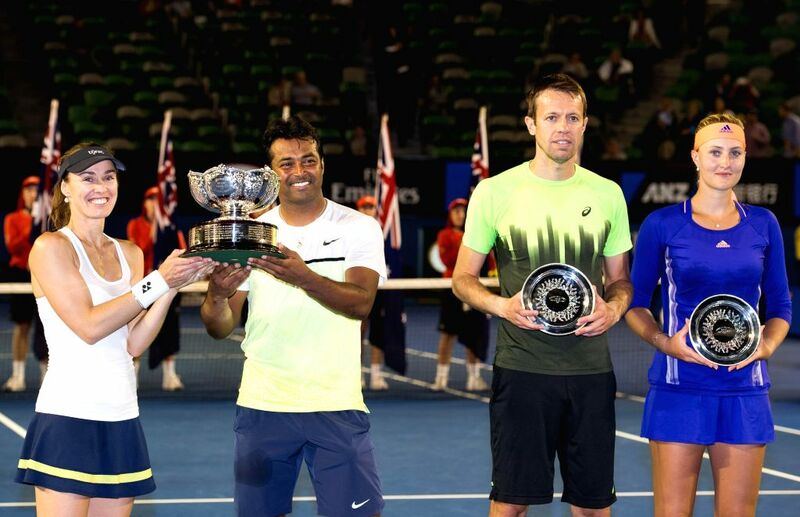 MELBOURNE, Feb. 1, 2015 - (from L to R) Martina Hingis of Switzerland, Leander Paes of India, Daniel Nestor of Canada, Kristina Mladenovic of France show their trophies after mixed doubles final match on Australian Open tennis tournament at Melbourne Park in Melbourne, Australia, Feb. 1, 2015. Martina Hingis and Leander Paes won 2-0. 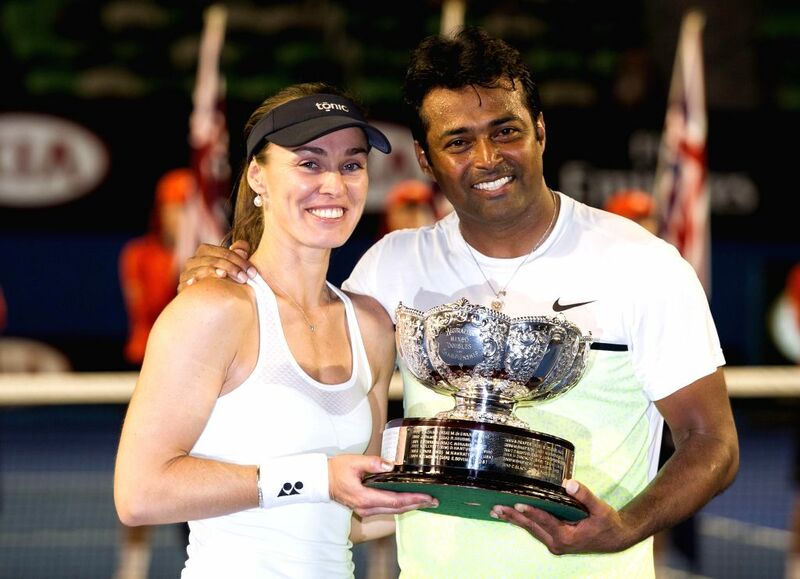 Martina Hingis (L) of Switzerland and Leander Paes of India show their trophies after winning mixed doubles final match against Kristina Mladenovic of France and Daniel Nestor of Canada on Australian Open tennis tournament at Melbourne Park in Melbourne, Australia, Feb. 1, 2015.